The Learning Geeks are back and kickoff 2019! We learn that Bob’s most influential teacher shared a surprise response which sparks a great discussion on the importance of not only creating the environment to learn, but having the desire to learn. Dana then shares his favorite Christmas gift and Bob gives a progress update on his learning resolution. The Geeks close the show talking about a new concept, Learning Ecosystems, and how it relates to personalizing our learning. 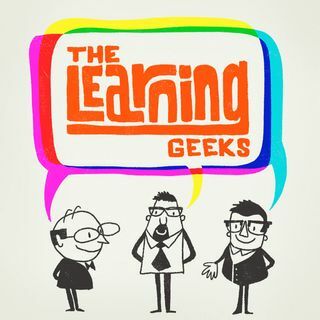 Check us out at ... Más informaciones https://www.learninggeekspod.com/.